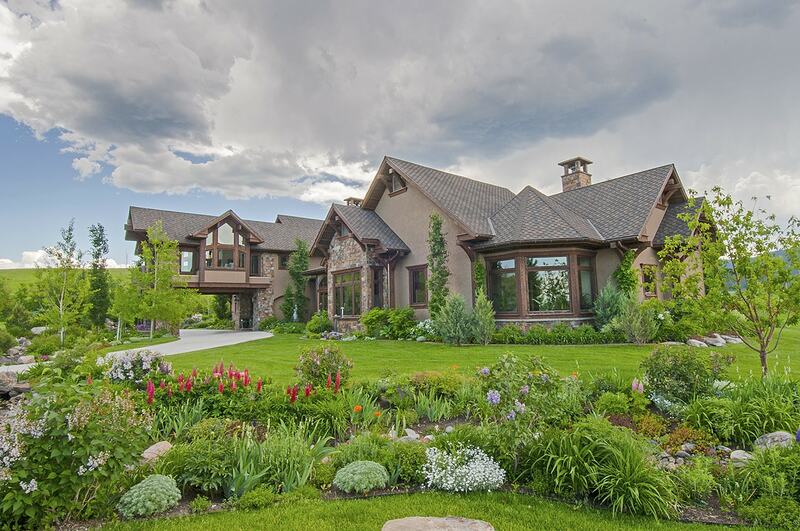 Home » Bozeman Montana Real Estate Blog » Featured » Cow-A-Bunga!! It’s hard to know the exact moment when something evolves from being an anomaly to gaining “trend” status, and even more difficult to determine why, suddenly, something is so in-the-moment-wanted. This is especially true when it involves cows and real estate. Cows? At Platinum Properties, we’ve noted a trend. It’s beyond an isolated request or inquiry. We’ve grown accustom to a potential buyer’s usual property shopping list: perceived value in pricing, live water, terrific views, privacy, high-end finishes and appliances, Montana lifestyle inside the home and readily available outside the door…and now, cows. Often times when we ask if they want milk cows or beef cows, they don’t have a clue as they’ve never owned a cow, have rarely been around cows, and do not even know there is a differences in breeds, let alone what’s involved in the maintenance of cows. They just want them, or to know that there’s nothing preventing them from having them in the future. I personally know the allure of cows. I owned Walnut Creek Ranch, in Louisburg, Kansas, where I raised 3-Day Event horses, and decided I wanted cows. I explained to my ranch manager, J.O., that I particularly liked black and white spotted cows. “You’ve got to milk those,” he scoffed, “and I sure as heck am not getting up every morning and doing that.” I wanted pretty cows wandering around in the fields as a form of moveable art. Perhaps today’s Bozeman buyers share this wish. Wanting cows in an urban or semi-rural environment is a switch from the home buyer focusing on granite counter tops and a Viking range. For a while the rage was hot tubs, then his and her walk-in closets, home theaters, and recently outside entertaining areas with fire pits. There’s always been the horse enthusiasts seeking a horse property. Many clients, when viewing parcels of land in excess of 10 acres, will ask if they can have horses whether they have ever owned a horse before. They want the freedom and option. But, cows? What is fueling this? Moving to Montana definitely involves an element of romantisicm. And adventure. The image of the wild west has been shaped in lore and movies. Montana is arguably the last frontier, known for big ranches, cattle drives, and the images of cowboys clustered beside a campfire as huge juicy steaks are cooking over the open flame. One doesn’t think of dairy cows and cheese– we leave that to Vermont and Wisconsin. [Slideshow "cow-a-bunga" not found]The longing for cows might be a response to life seeming to be increasingly complicated, with new federal regulations, terrorists hijacking our sense of safety, too many friends and loved ones being stricken with cancer, and worry about the future of our planet and children. Maybe cows represent a longing to return to a kinder, gentler, easier life. They are calming, placid and cute, with liquid eyes and a way of slowly ambling from one meal to the next with a nap in between. In many respects, they symbolize living the good country life, owning your own ranchette in Montana, replete with cows. But, not all subdivisions want cows. In fact, many ban them. Horses, lamas, and maybe chickens are allowed, while cows have a big circle with the diagonal slash drawn through their image. Neighbors consider them smelly, an attractant for flies, and messy. Unless a property is “grandfathered” in, covenants and zoning frequently restricts them. It is important, if you are in the process of seeking property, that you are realistic in your “want” list of requirements. If you want to live close to the city of Bozeman, live water is difficult to locate and will definitely drive the property’s price up. Views, privacy, and high-end finishes are readily available, while covenants allowing cows are quite limited. You need acreage for cows. They are herd animals and require large grazing pastures, which is not within the intended use for subdivision parcels of land close to town. While the City of Bozeman has passed ordinances allowing backyard chickens, cows are still taboo. It is possible to change subdivision covenants if one is persistent and able to rally support within the subdivision since changes generally require a majority vote. It’s been known to happen but is far from a given. Which brings up another possible reason for folks wanting cows—because they are an increasingly rare animal for the average property owner to have in their backyard and are therefore a precious commodity, a conversation piece, and somewhat of a folly. Platinum Properties is always happy to help buyers locate their ideal property. It’s just a bit more of a challenge when we’re told that cows are part of the deal.